We’re always hearing how important an active lifestyle and good nutrition is for us. So much evidence points to these two factors being key for leading a longer, healthier, happier life. Nutritious food, lots of activity, and the right amount of rest can help prevent disease and illness. While we know this is true for us, do you know the same is true for our pets? Spending time with our little sweetheart is often the best part of the day! We are so enamored with her and want her to live a long and healthy life. She is so sweet and docile that we got in the habit of just hanging out in the house most of the day until we got a reminder from our vet that even small dogs need to be active. We were also getting a little lax and letting her have some table scraps before we changed her diet recently. We thought she would be upset but just the opposite was true! An active lifestyle not only helps prevent disease and illness in humans, along with the right diet, it is extremely important for your dog. Keeping your dog healthy and in great shape increases the chances that your furry friend will be around for a long, long time. Regular consistent exercise is one way to help your dog lead an active lifestyle. Whether you’re taking your dog for daily walks or spending lots of time outdoors playing fetch or frisbee, making sure your dog is getting physical exercise is crucial for their good health. Not only do these types of activities keep your dog from becoming overweight, they are good for their organs, muscles, and skeletal systems too. Being active reduces the chances of arthritis and heart disease in your dog just as it does for us and reduces the risk of many other illnesses and diseases. Have you had a vet bill lately? I did and I don’t want another if I can prevent it. Being active with your dog is also an opportunity to spend quality time together. Most dogs are social creatures and want to spend time with their owners. Your dog can also be motivation to get yourself moving. Sometimes it’s hard to find time to exercise and be active when your schedule is packed. Walking the dog can be a great family activity and a time to share the day. An active lifestyle is only part of the equation. Making sure your dog has a healthy diet is important too. CESAR® Home Delights™ is a premium, wet dog food, formulated for your small dog while looking and smelling like human food. We know dogs love people food and CESAR® Home Delights™ borrows the recipes your family loves and makes them just for your dog. 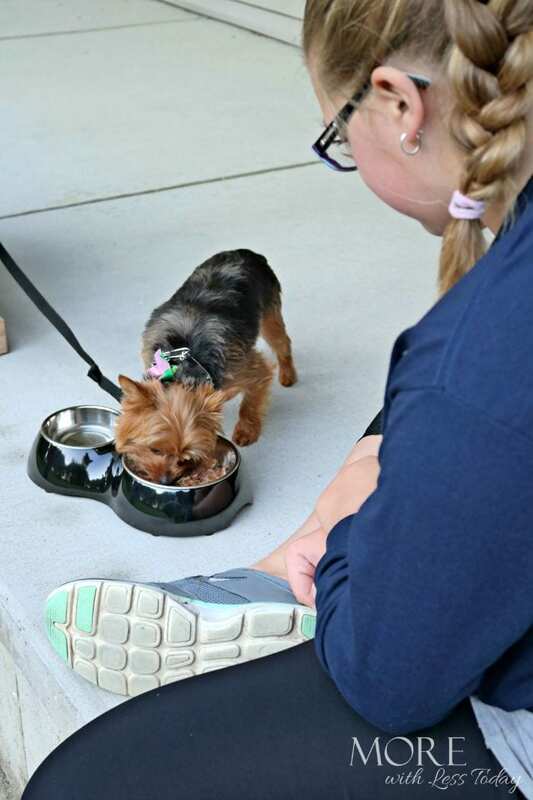 We learned that serving dogs table food is not always healthy for them. 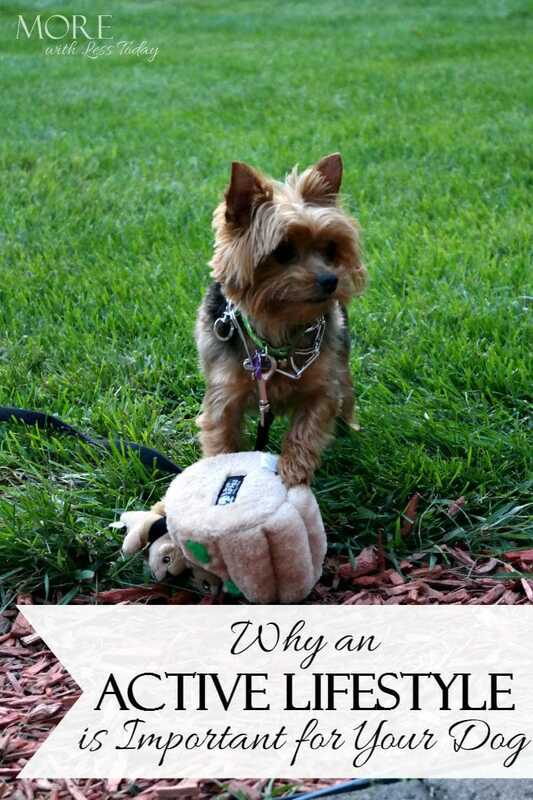 CESAR® Home Delights™ makes it easy to please your small dog. Our little sweetheart gets excited when she see her gourmet dog food meal getting opened and she no longer begs for table food. Follow CESAR® on social media on Facebook and Twitter for more inspiration and tips. 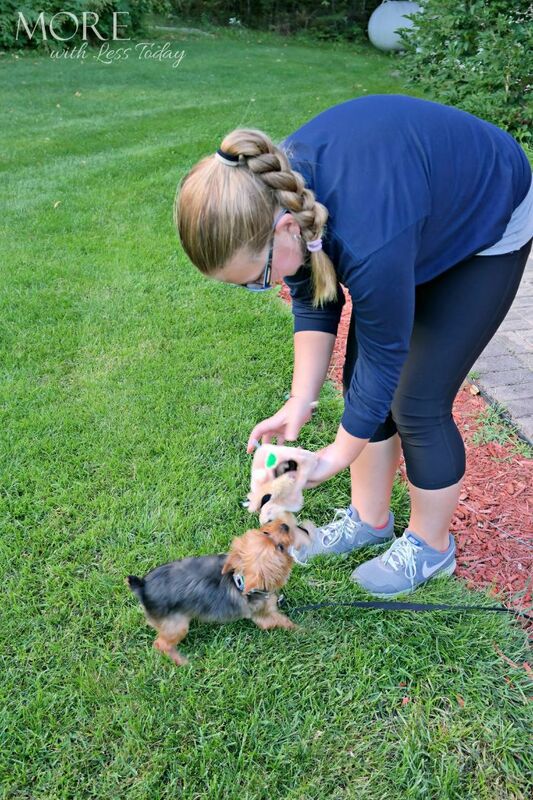 What’s your favorite way to be active with your dog? I completely agree that it’s important to get your dogs outside and to stay active. When we visit my inlaws my kids love to take their dog out for walks. She is not even one yet and needs to get exercise in. I think a lot of people forget the importance of keeping your dogs active. Awe, what a cutie pie! I agree that an active lifestyle is important for pets. 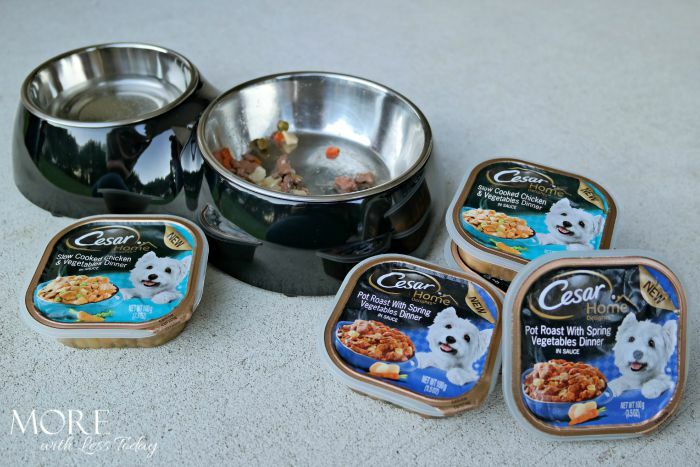 The Cesar food sounds like a great treat too! I totally agree, dogs need to have exercise everyday. I think people should research the amount of exercise a dog needs prior to making a decision on what type of dog to get. Each dog has a different level. I think for sure animals need exercise daily. My last dog was a couch potato and a cuddle bug. I have to pay attention to what they eat based their energy level. Our dogs are always active with playing and going for daily walks. It’s also great for me, since it gets me out of the house and gets me active too. Our dogs are picky eaters, and didn’t take to Cesar, but we do try to keep them in a healthy diet. What a total cutie! I don’t have a puppy but I agree they definitely need to exercise daily for optimal health. We try to take our dogs to the dog beach as often as we can! It is good for them and US so we can get exercise!